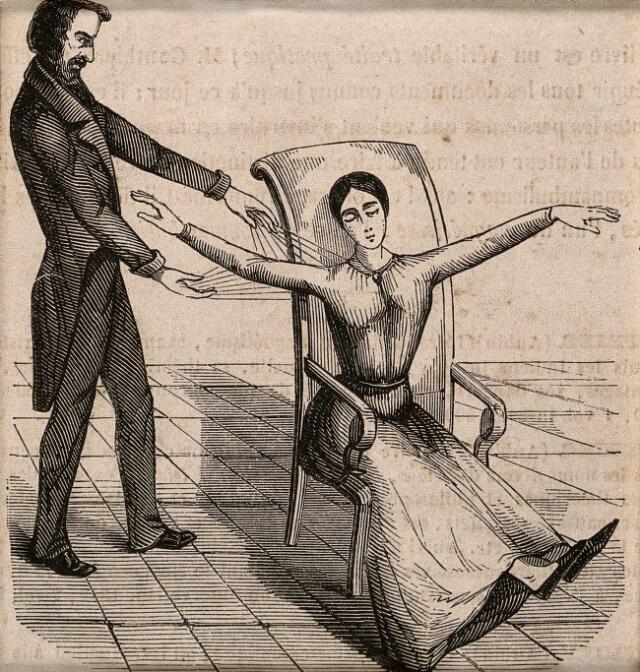 A Mesmerist using Animal Magnetism on a woman who responds with convulsions . Wood engraving. Mesmer, Franz Anton 1734-1815.